Figure 3-10. 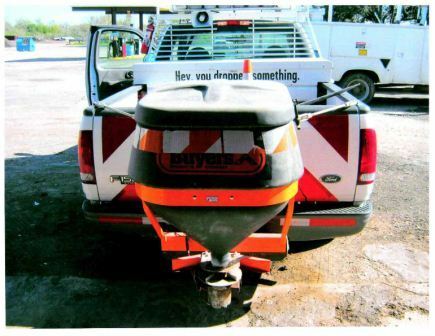 Pickup applicators are used to apply anti-icing liquids (top) and granular (bottom) materials prior to an approaching storm to small areas such as bridge decks, on and off ramps. They are also used for de-icing applications during the storm. perform trial run with water to assure correct rates.